After four years without a win on the European Tour, Lee Westwood is back in the winner’s circle after winning the 2018 Nedbank Golf Challenge at Sun City Resort. With girlfriend Helen Storey on the bag, he managed to secure an emotional victory to prove to the world, and more importantly to himself, that he can still perform under intense pressure. Of course, here at Your Golf Travel we are absolutely delighted to watch and support our Chief Holiday Officer to his 24th European Tour victory and back him to make 2019 a year to remember. So to let the older golfers reminisce and for education of those new to the game, we are going to run through some of Lee’s best wins on the European Tour. It’s been a year of transition for Lee; missing out on The Masters for the first time in his career, showing his value off the course at the Ryder Cup and of course fighting his way back to win again on tour. However, despite this, it’s not an exaggeration to say that this win has been coming; only a few weeks ago Lee finished T5 at the Andalucia Masters at Valderrama with his son on the bag and has been playing some consistently brilliant golf. 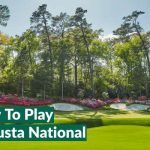 This week it all came to fruition and with local Louis Oosthuizen and a reinvigorated Sergio Garcia chasing, he was able to shoot a final round 64 to clinch a well-deserved victory. 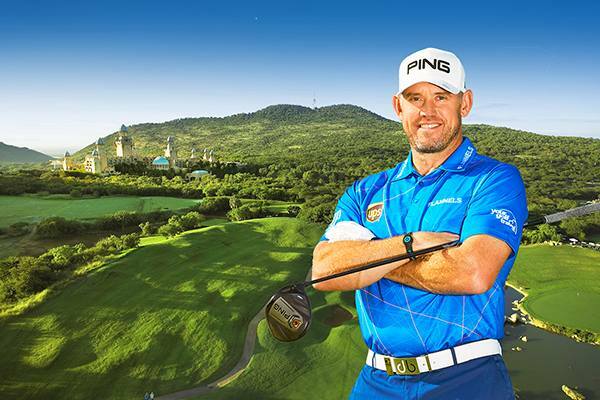 Sun City has been a happy hunting ground for Lee after winning and defending the Nedbank Golf Challenge in 2010 and 2011. The course proved once again that South Africa is a mesmerising golfing destination with unique landscapes and surreal backdrops. 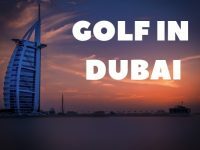 This weekend the likes of Francesco Molinari, Tommy Fleetwood and Justin Rose will battle it out on the Earth Course at Jumeirah Estates to be the Race to Dubai champion. Nine years ago, in the first DP World Championship at Jumeirah Estates, Lee Westwood won the season’s final event in style and ended 2009 as the European Tour’s top golfer; playing golf worthy of a World Number One; a feat he achieved less than a year later. 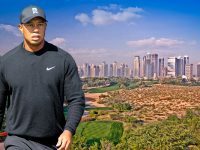 The Earth Course is of course now established as the annual host and is seen to be one of the best in the UAE. Just five weeks before his Dubai victory, Lee recorded his first win on Portuguese soil, beating nearest challenger Francesco Molinari by two strokes to win the Portugal Masters at Dom Pedro Victoria. In form and chasing down Tiger Woods’ throne at the helm of the world golf rankings, Lee was actually without a win in two years previous to this win; this came after some near misses in majors, some cruel playoff defeats….ring any bells? 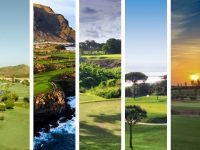 Dom Pedro Victoria is without a doubt one of the best in the Algarve and is perfect for championship golf, which isn’t actually a surprise when you remember it was designed by Arnold Palmer. 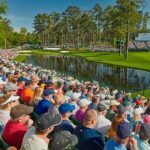 Before Sky Sports began supporting the tournament and golfers like Lee Westwood, Justin Rose and Tommy Fleetwood turned host for the week, the British Masters often changed sponsor and course, unfortunately leading to a seven year sabbatical. While the new format of the tournament is refreshing for the game and is proving to be hugely popular amongst players and fans, its former self was the last time we saw championship golf at The Belfry. In the penultimate event before it was dropped from the schedule, Lee beat Ian Poulter to claim victory at one of the UK’s most decorated Ryder Cup venues; his first professional appearance there since the 2002 Ryder Cup where he picked up three crucial points on the Brabazon Course. Almost a year to the day from his Ryder Cup success at The Belfry, Lee claimed a unique victory at the 2003 Alfred Dunhill Links, played across three of Scotland’s best courses – St Andrews, Carnoustie and Kingsbarns Golf Links. Beating Ernie Els to the title after an albatross on the final hole, there was drama from start to finish, but it seems Lee has a knack of pulling it out the bag when it matters, even with the distraction of playing with some huge celebrities. 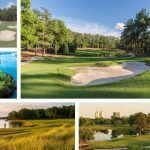 The Home of Golf is the setting for the final round and Lee has told us that it definitely ranks in his top 10, a huge compliment considering the sheer number of courses, countries and continents he has played at. Back when it was named the Smurfit European Open, Lee was enjoying the most successful phase of his career and either side of the Millenium, he was able to get victories at The K Club, beating major winner Angel Cabrera and good friend Darren Clarke. These two wins counted towards his nine over the two year spell and perhaps had a part to play in his stellar performance six years later in the 2006 Ryder Cup at the same course. The K Club is Ireland’s most famous because of the Europe/USA showdown 12 years ago and is one of the most opulent, premium golf resorts in Europe, if not the world, boasting incredible spa facilities as well as the golf.